Photo booth are so much fun and light up any function with its decor. They are also very much in fashion right now and why not, after all it has something to offer to each and every guest present at the function and becomes the part of their memories through pictures. And who doesn’t loves posing and smiling for the shutterbugs and one can’t even resist when you have such beautiful backgrounds…. 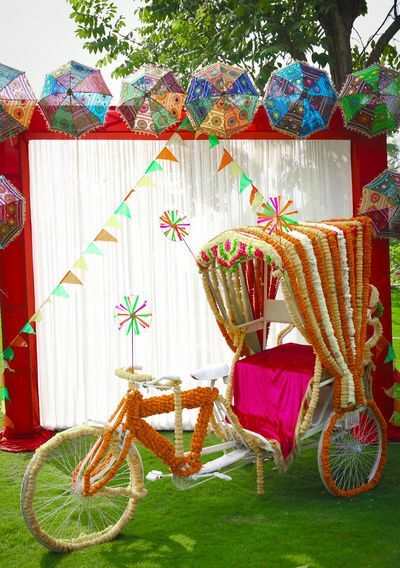 Here are few wonderful ideas for a picture perfect photobooth. 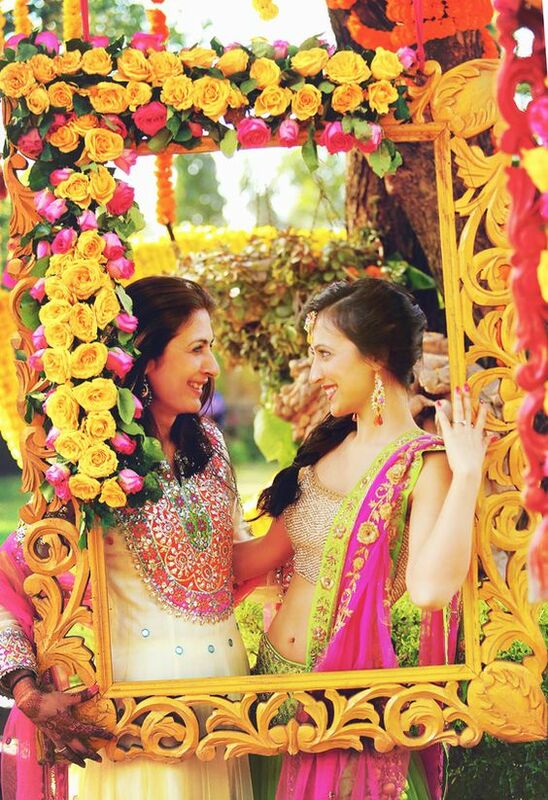 Engraved Photo Frame– Oversized engraved photo frame in a bright color makes a perfect photo booth idea for functions like Mehndi. 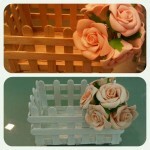 It can be further decorated with multicolor fresh flowers and people will love posing with it. 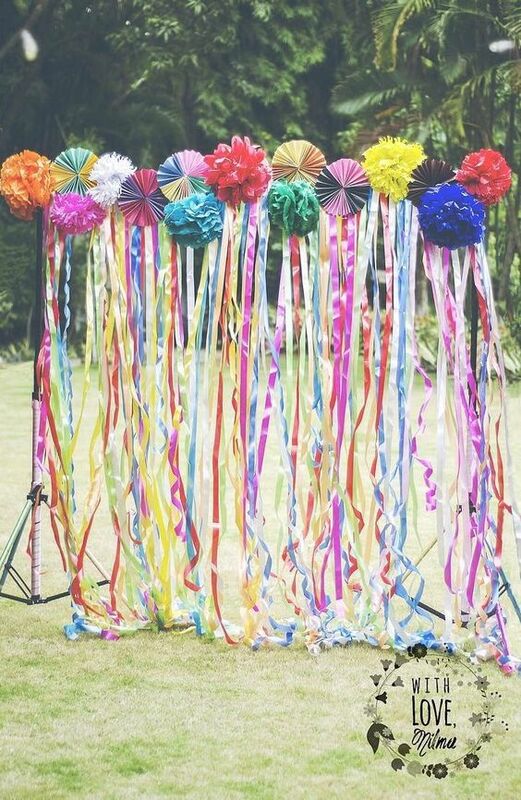 Ribbons– Colorful ribbons attached to paper balls and paper fans looks simple and chic and it can be further done with a solid background at the back of the ribbons. Park a vehicle– Colorful vehicles like a cart, a scooter or a simple cycle add up to the punk and look very interesting. They can be covered with fabrics and flowers for the photo booth idea. Background can be kept simple or can also be done in a bright color. Add colorful umbrella’s to give a rural feel. Multi frames– Its great to have more and more people in a picture and this photo booth is exactly for such a picture. 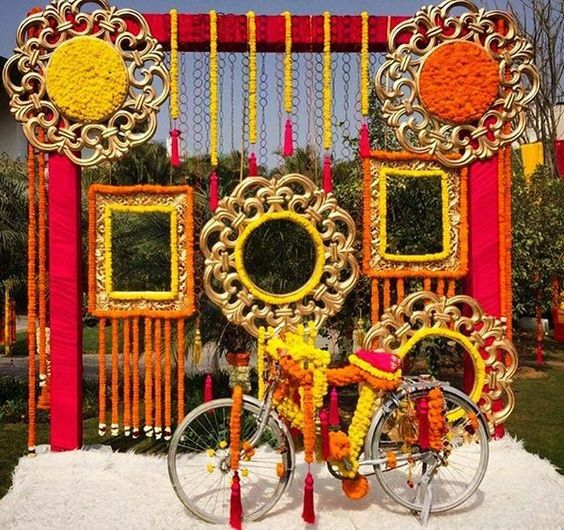 Multi frames decorated with garlands of marigold flowers make a great pair with the decorated bicycle. 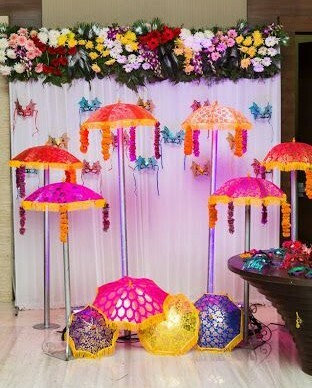 Umbrella’s– Colorful Umbrella’s always make a great prop to pep up any decor and can be used for a photobooth too. 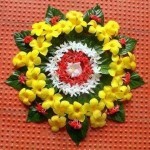 Addition of marigold flowers in different shades make it more appealing. 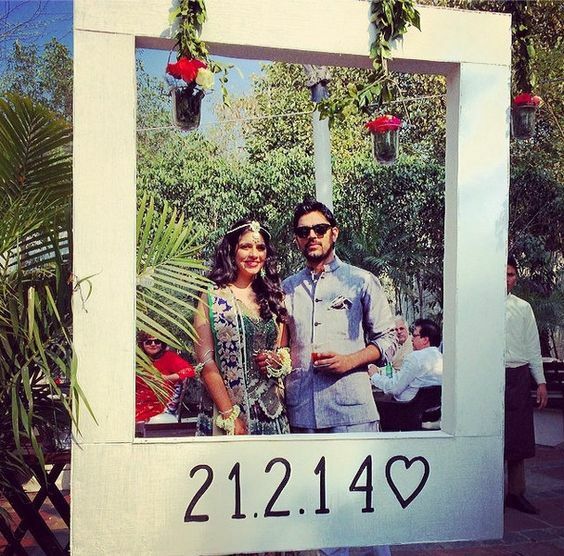 The Date– A simple idea for your pictures with the date written on the booth.